New entries will be added to the glossary as questions arise. Our glossary will be continually updated. It is intended primarily for non-Jehovah’s Witnesses, and over time, will include more updates, including abbreviations (like: GB, FDS, CO, PO), even terms that might become obsolete in the near future for JWs themselves, like District Overseer (DO), School of Gilead, etc. Before listing words and phrases, the most common questions are usually about when to use (or not use) terms like: Watch Tower, Watchtower, The Society, The Organization, etc. That question is partly answered in the next paragraph. In this context there are also some questions about the term Jehovah’s Witnesses which we try to answer before the list of glossary words. The term “Watchtower” or “The Watchtower” is also understood to mean the primary magazine that is published by the WTBTS. Therefore, this website will usually mean the magazine when referencing the “Watchtower” and we will rarely use the term “Watch Tower” on its own, except when referencing “Watch Tower teachings,” “Watch Tower representatives” or “Watch Tower publications,” etc. Although not technically correct, these references are often thought of as nearly interchangeable with the name of the religion: “Jehovah’s Witnesses.” Also, note that the term “Organization” is sometimes used to refer to Jehovah’s Witnesses as a religion, as an organized Society including the legal entities” or even the entire heavenly realm of spirit creatures including Jehovah God, Jesus Christ, the heavenly angels, along with the earthly organization of Jehovah’s Witnesses (including corporate and legal entities, the Governing Body, the various Branch offices and overseers, congregation overseers, ministerial servants and all other JWs in any of the various capacities in which they are organized. Jehovah’s Witness? Witness? JW? Bible Student? International Bible Students Association? The term Jehovah’s Witnesses, the name that members of the religion call themselves, may also cause some confusion. The group called themselves mostly just Bible students at first, capitalizing it to Bible Students when it became necessary to formalize it a bit more. 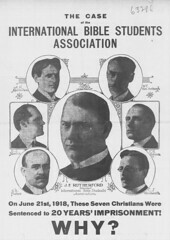 The most formal version was the name of the organizational entity formed in London: “International Bible Students Association” or IBSA. This name was often associated with Bible Students in other parts of the world, too. In 1931, Rutherford announced that the new name would be “Jehovah’s witnesses.” The small “w” was utilized on purpose, and even formal books followed the convention and printed titles on book covers like “Jehovah’s witnesses vs. Supreme Court…..” etc., etc. In the 1970’s there were legal reasons for formalizing the name with a capital “W.” (I was baptized as one of Jehovah’s witnesses myself in 1967. ) Most English-speaking Witnesses do not like to hear it pronounced “Jehovah Witness” although the designation is still clear, and even some English speaking Witnesses use it (but rarely). It is common from non-Witnesses who may get it from terms referring to events like “he was an Kennedy witness” or a “Hindenburg witness.” We should mention that many Witnesses believe it is technically incorrect to say “He is a Jehovah’s Witness.” Many Witnesses prefer “He is one of Jehovah’s Witnesses,” instead. The Watch Tower publications still use the term “witnesses of Jehovah” or phrases like “these are Jehovah’s witnesses today” (with a small “w”) when referring to the inclusion or participation of their membership in a more generic group of true Christians and God’s people in times past. 1,000 year reign: The millennium, or thousand year reign of Christ which begins after the Judgment, the Resurrection, the Great Tribulation, Armageddon. Although it is also called the “thousand year reign of Christ” it does not begin until Jesus has already been reigning for at least 100 years beginning in 1914. 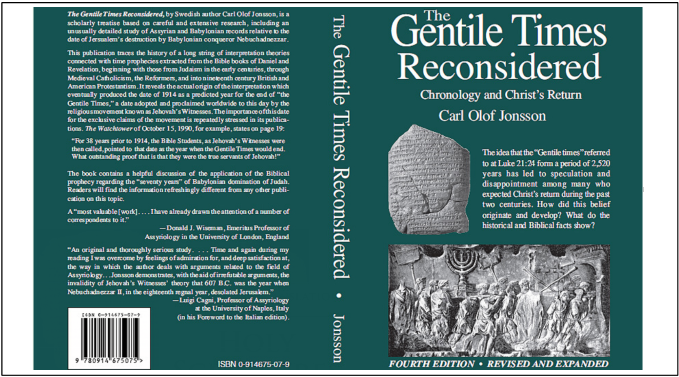 Early Watch Tower publications, therefore, expected it to end about the year, 2914 CE. 1874, et al: Dates prior to 1914 are no longer claimed to have had prophetic significance. The Watch Tower has, in the past, made use of teachings that included the following dates as Scripturally and prophetically significant: 1798, 1799, 1844, 1859, 1873, 1874, 1878, 1881, 1914, 1925, 1935, etc. 1914: The date understood to be the beginning of the “last days”, beginning of the “generation that would see the sign of the last days”, “the start of the Messianic reign of Christ Jesus”, “the start of the “parousia” (Christ’s invisible presence), the date for the ousting of Satan from heaven. 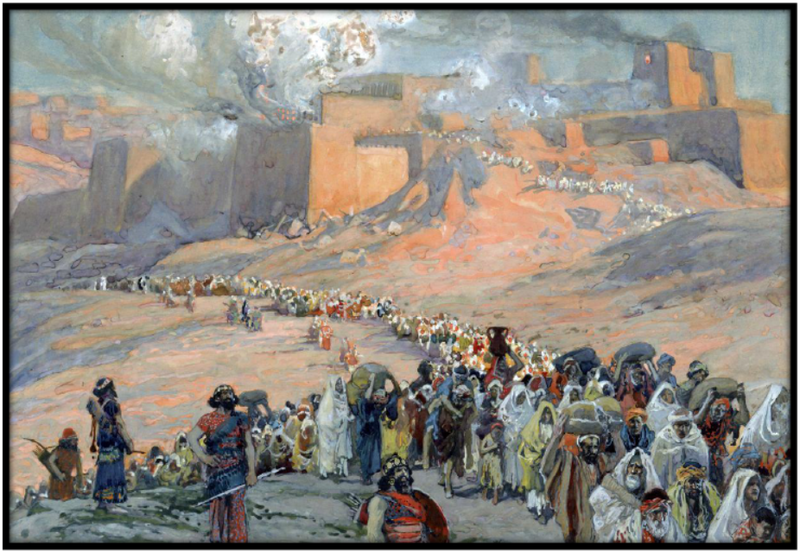 1918: The date understood to have been the likely time for the “first resurrection” and “the [first] inspection of the temple by Jesus.” The current doctrine on the temple inspection has been updated, and it is not clear how much emphasis is therefore to be placed on a 1918 date for the first resurrection. More recent Watchtower articles have referred to 1918 for the “first resurrection” only as an “interesting possibility” but that, technically, it could have happened any time between 1914 and 1935. 144,000: The number of people that will reign with Christ in heaven during the 1,000 year reign. Less than 1 out of 1000 JWs currently believe they are a part of that group. 999 out of a 1000 JWs believe they will live in an earthly paradise to be ruled by Jehovah, Jesus and the 144,000 who will remain in heaven for the 1,000 year reign and beyond. There was a time when all JWs thought they were of a heavenly class, even a group called “the great crowd” or “the other sheep.” But since 1935 those terms have been applied to persons who hope to live in “Paradise” on earth. Great Tribulation: (GT) The time (possibly lasting days, weeks or months) leading up to Armageddon when the faith of Jehovah’s people is tested. Expected to be a time when the United Nations (wild beast of Revelation) attacks all religion and in the process attacks Jehovah’s people (JWs). At that time, Jehovah steps in to protect JWs leading to outright Armageddon. Governing Body and Faithful & Discreet Slave are considered the highest positions of responsibility among Jehovah’s Witnesses. Those terms are found in their own headings. Two other terms that refer to positions of responsibility are “Pioneer” and “Publisher.” There are many other past and current titles that refer to positions of responsibility, including Ministerial Servant (similar to deacon), Elder, Presiding Overseer (PO, formerly, Congregation Servant), Circuit Overseer (CO), District Overseer (DO) [becoming obsolete], Branch Overseer, Department Overseer [usually a position at one of the Branch Offices where there can be dozens of specific departments]. Most of these variations will not be found in the glossary, although when reading historical information about the WTBTS, it might be useful to note that before the early 1970’s these positions were often termed as variations on the word “Servant” and since then the word “Overseer” has been used (e.g. the Congregation’s Presiding Overseer was formerly the Congregation Servant.) A single congregation of 120 “publishers” may have 5 elders and 10 ministerial servants. Pioneer: A JW who is also a “publisher” and has volunteered to spend at certain number of hours in various acceptable “publisher” activities: regular door-to-door ministry, return visits, Bible studies, pre-Convention activities, letter-writing, etc. There are Regular Auxiliary Pioneers (formerly Vacation Pioneers), Regular Pioneers, and Special Pioneers, each with a different goal in hours ranging from 30 to 50, or 70 to 130 hours a month (or more). Publisher: A JW is counted to be a member of the religion if they are accepted as someone who can join in their witnessing (preaching) activities, which often takes the form of “door-to-door” work. (Distributing Watch Tower publications and initiating Bible Studies with “householders” or “interested persons” also referred to sometimes as “sheep-like ones” “persons with a favorable heart condition” or “persons of goodwill.” There are certain minimum requirements for “unbaptized publishers” which will be described under that heading. Society: JWs often speak of the Watchtower Society as simply the Society. This is another way of referring to the central headquarters of JWs, while sometimes implying the work of all the other branches and organized activity among all JWs worldwide. (Not recommended for common use, especially among the public, for several reasons that have been given over the years. The most common reason is that it implies the following of an earthly organization as more important than the Bible, Jehovah God, and Jesus Christ. Another nearly obsolete reason has been that technically, the term referred to the Watch Tower Society, which in some contexts meant only elected members who had voting rights in one of the Society’s corporations. 1) Commonly means “The Watchtower” magazine, a journal that presents the beliefs of Jehovah’s Witnesses and is distributed worldwide in their preaching work. 2) Also is another way of stating the Watchtower Society (or Watch Tower Society). See opening comments about Watch Tower Society, etc.